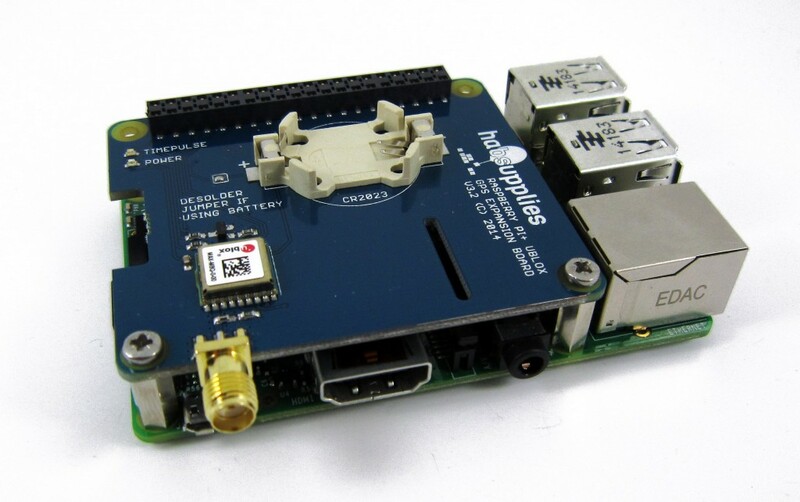 This is an article on making a network attached Stratum 1 NTP Server using a Raspberry Pi+ Model 2 or 3 and the Uputronics Raspberry Pi+ GPS Expansion Board. If you need a standalone ready to go solution or need more performance please consider the LeoNTP Networked Time server unit which is available here. Due to significant changes to Raspbian we have decided to retire the old guide here https://ava.upuaut.net/?p=726 and redo it.This guide assumes Raspbian Stretch Lite November 2018 released 2018-11-13. No other version or distribution is supported. This solution will not give you a standalone off grid NTP server. NTP isn’t designed to work off grid using just the NMEA derived time and PPS to discipline it. You need an external server and then use PPS to discipline it. Ideally rather than supplying a premade image I would have a set of concise instructions on making your own install from scratch so you could use the latest versions of the software. With assistance from David Taylor who did lots of background work on this here I present the following instructions on making a cheap PPS disciplined NTP Time server using one of the Raspberry Pi+ GPS boards sold on Uputronics. The guide assumes you have a cursory knowledge of Linux, enough to install Raspbian and login should do. 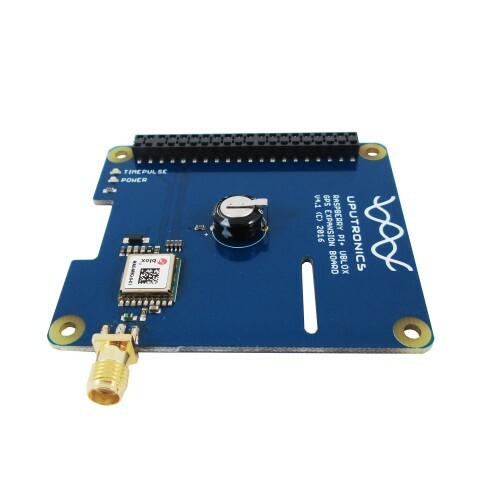 You will need a Raspberry Pi 2 or 3 B+, the Uputronics Raspberry Pi+ GPS Expansion Board and a suitable GPS antenna. This guide is assuming you’re using Raspbian Stretch Lite November 2018 released 2018-11-13 image. Download and write this to an SD card (See http://www.raspberrypi.org/documentation/installation/installing-images/README.md). Other distributions may work but these instructions are known to work with Raspbian Stretch Lite. Follow the instructions carefully if you miss steps things won’t work. Text in italics is what you type. Text in red indicates editing inside a file. Quit but no need to reboot at this point. Ensure the GPS has a lock and the Green PPS LED on the Uputronics Pi+ GPS Expansion Board is blinking once a second. (Press CTRL+C to quit). 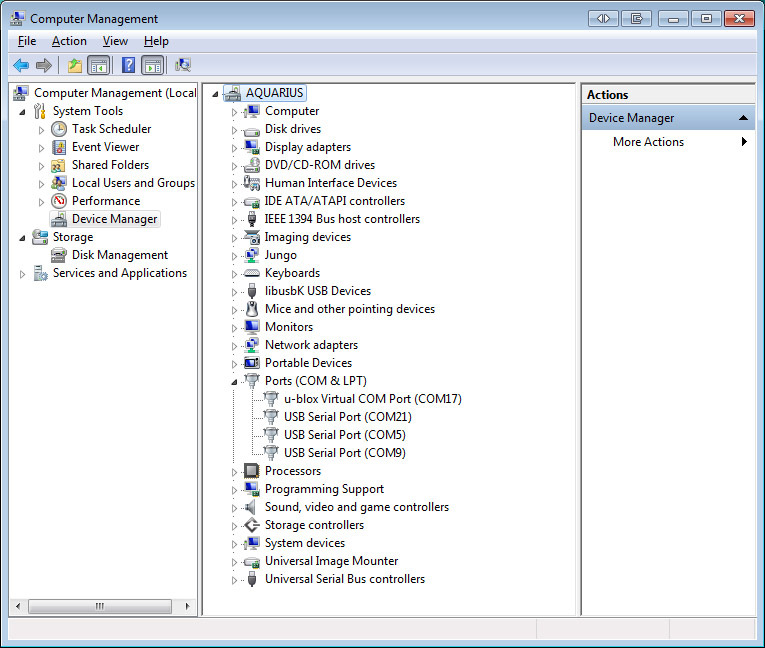 This indicates the PPS Module is loaded (top example) and is working (bottom). The supplied version of NTPD on the Raspberry Pi now supports PPS so there is no need to roll your own NTP. Select your region then you get a list of the country servers. E.g for the UK its uk.pool.ntp.org. Note You MUST add a preferred server or PPS doesn’t work. Its worth at this point seeing if you’re ISP has its own NTP server you can use and adding that. 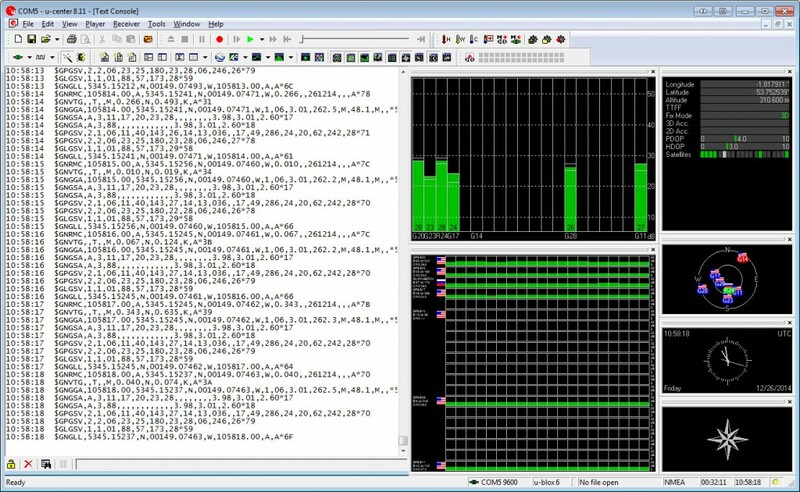 if you get oPPS(0) this indicates source selected, Pulse Per Second (PPS) used and everything is working. At this point you have a NTP server which will use an external time source and use your local PPS to discipline it. May take a few goes to set it. David Taylor’s website here http://satsignal.eu/ntp/Raspberry-Pi-NTP.html goes into much further detail about the process above and covers graphing, remote access monitoring etc and I highly recommend you read it. Hope this helps, let me know how you get on with these instructions and I’ll try keep them up to date. 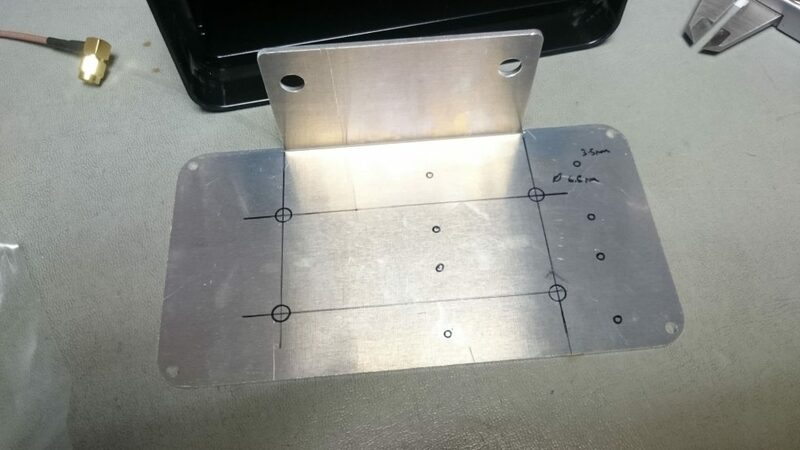 The cases are supplied with a blank plate so you can drill to your own requirements. I removed the ends from two Uputronics LNA’s and used the end plates as templates (be careful the endplates are asymetric so make sure you copy the right side or the screws won’t mount). Drill the holes (SMA’s ~ 6.5mm and the screws are ~ 3.5mm). Stick it all back together and mount it on the mast. Obviously this setup assumes you are using bias tee. Stick a preamp in front of your radio. Will make reception better right ? Well, as with most things in life its not as simple as that. It may have a beneficial effect but it depends on a number of factors, where your preamp is and what your radio is. Let me explain. Its about the signal to noise, not the gain. Gain is helpful but the noise figure (NF) and the linearity (IP3) will ultimately determine the quality of your signal. Put simply as the signal passes from your antenna to your radio it will degrade in quality (S/N Ratio). You can mitigate against this with low loss coax and short runs but you are always going to get some loss. The end game is simple you need to keep that noise figure as low as possible to maintain the signal you’re actually interested in. The linearity metrics used in the industry (IIP3 and OIP3) are a relatively complex subject (See here for a good article) but the thing to keep in mind is that the linearity of a system should be as high as possible. 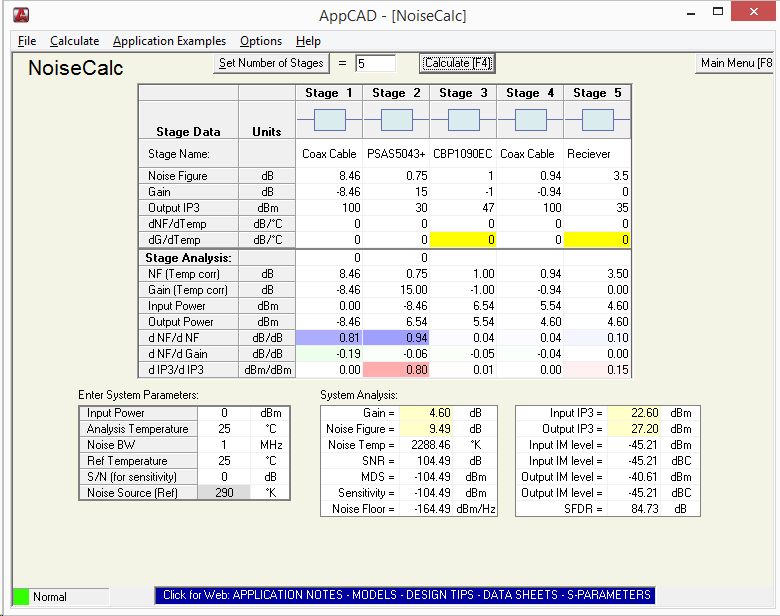 Lower linearity can cause overloading which will lead to a raise in noise floor, intermodulation products (spurs) and finally the desensitizing of the receiver. 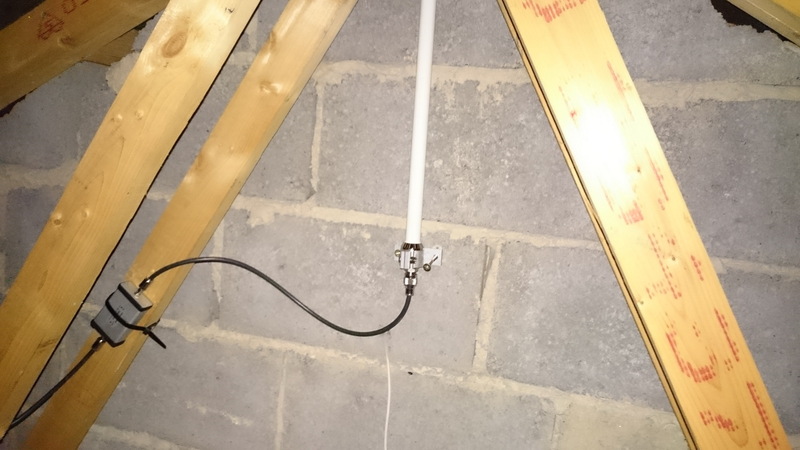 Antenna -> 10 meters of Coax -> Receiver. Antenna -> 1 meter of Coax -> PSA5043+ -> CBP1090EC -> 9 meters coax -> Receiver. I’ve broken the Uputronics Ceramic ADSB 1090Mhz Preamp into its base components, the PSA5043+ amp and the CBP1090EC Ceramic filter. The PSA5043+ has about 15db of gain at 1090Mhz. 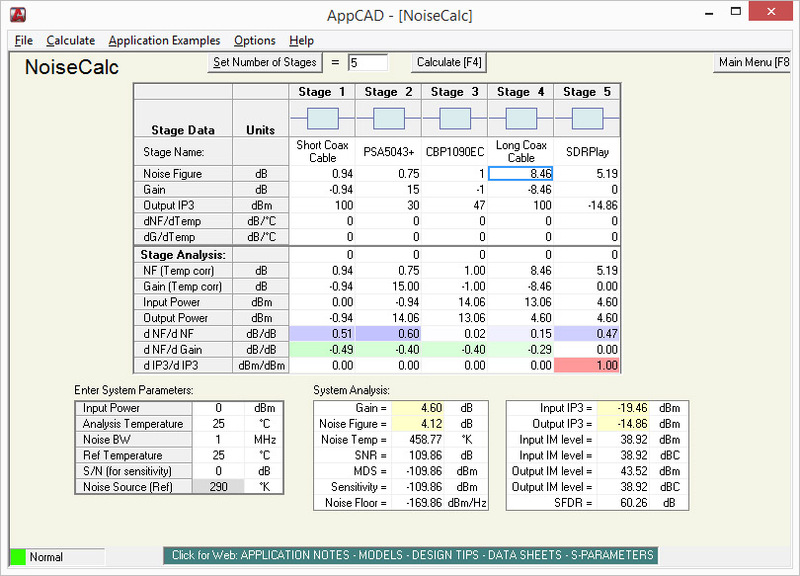 And look at that you’ve brought the NF down to 3.45db which is a large improvement over the system without significantly compromising the linearity (IIP3). Antenna -> 9 meter of Coax -> PSA5043+ -> CBP1090EC -> 1 meters coax -> Receiver. The linearity is very good at an IIP3 of over 22dBm, but… See the NF ? 9.49db nearly as bad as the system with no preamp in it. At this level, the receiver could be considered “deaf”. You get the gain and the linearity but the NF is much higher. As you can see, having the preamp close to the receiver won’t improve the sensitivity. Some receivers have an LNA in the radio itself. So what happens if you plug a preamp into a radio that already has a LNA like the SDRPlay or the FunCube Dongle? 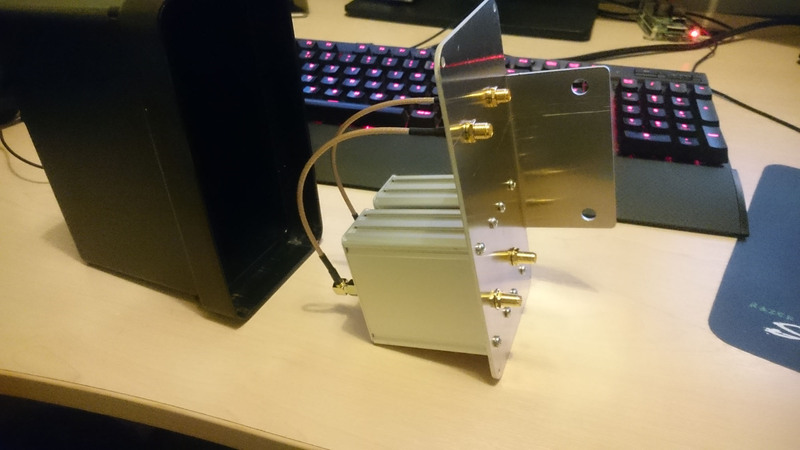 Antenna -> 1 meter of Coax -> PSA5043+ -> CBP1090EC -> 9 meters coax -> LNA Equipped Reciever. 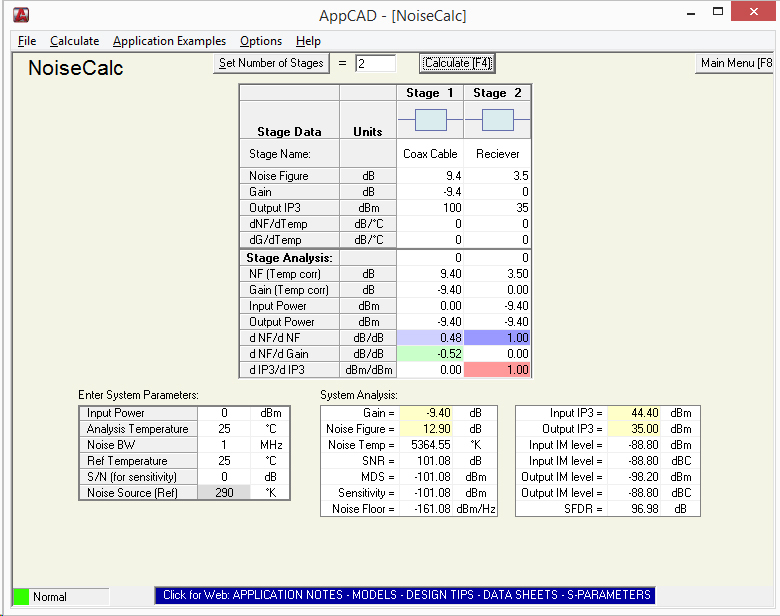 Taking the data from the SDRPlay datasheet here, at 1090Mhz with the internal noise figure NF is 5.19dB and the IP3 is -14.86dB. As you can see the noise figure (NF) is comparable to, but still higher than on a system with no preamp in the receiver. On the other hand, the linearity degraded dramatically to an IIP3 at -19dBm. This means even a moderate interferer can cause severe intermodulation, thus desensitizing the receiver. May not benefit from having a preamp at the antenna. The presence of a built in LNA is detrimental to the linearity and may degrade the signals. Put the preamp as close to the antenna as possible. 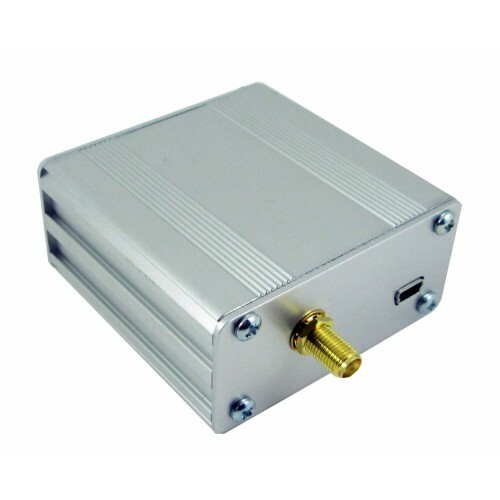 Receivers with a built in LNA may not get the most out of an antenna system or preamp. Proper gain distribution guarantees better performance than one-size-fits-all solutions, both in terms of sensitivity and strong signals handling. Uputronics sell a variety of preamps suitable for use with SDR recievers for 403Mhz (Radiosonde), 434Mhz, 868Mhz/FLARM and ADS-B 1090Mhz. I’ve recently been playing with ADS-B reception to test new revisions of my 1090Mhz ADS-B Preamp. With my location 300 meters ASL and between two international airports I’m ideally placed for reception. I wanted to see what difference there was between the nice and cheap RTL dongles and the Airspy SDR. You can see the preamp on the left. The indoor location is far from ideal but I currently don’t have space on the mast outside to fit it and as you can see by the results below its still performing well. At some point it will move outside. 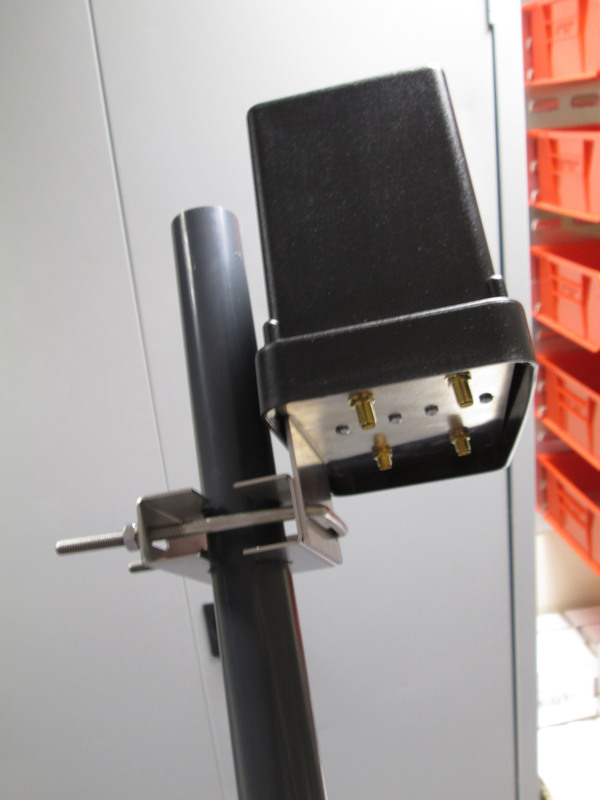 The antenna is connected using Belden RG6 with some nice quality SMA connectors from Barenco. The preamp is a Uputronics ADS-B 1090Mhz preamp with SAW filter. Based around the Minicircuits PSA4-5043+ it provides approximately 14dB of gain at 1090Mhz and has a Golledge SAW filter to remove out of band inter-modulation. A quick word on the dongle, its an older Elonics E4000 based model the only modification is the Belling-Lee connect was removed and replaced with an SMA connector. Otherwise its stock. SDRSharp’s ADSBSharp and ADSBSpy V1.0.0.11 (Link is latest V1.0.0.12) programs to drive the dongles these fed into Virtual Radar Server and ADSB Scope. To ensure no issues both dongles were on separate USB3 buses. After briefly adjusting the gain on both dongles to get the optimal reception I left them to run for about 28 hours on a week day. At this point its worth noting, ADSBSpy suppresses duplicate frames and it doesn’t try to correct frames with bad CRC. This is preferred by sites such as such as FR24 and PlanePlotter’s sharing network as the CRC is weak and it can result in erroneous data being uploaded to their servers. ADSBSharp does correct frames with bad CRC and doesn’t do any duplicate detection so I would expect more frames and position reports from ADSBSharp. As you can see the overall range is generally limited by geography from my location and in certain directions both radios are getting pretty close to the radio horizon.The outer ring is 400km of which both radios managed to exceed reception. However fairly consistently the Airspy exceeded the range of the RTL in some areas by over 50km. The numbers speak for themselves really, the other interesting number is the number of unusable frames with the RTL was 3.4million with the Airspy it was 305! Credits : Thanks to Dave Akerman who’s NMEA Parser code these examples are based on. 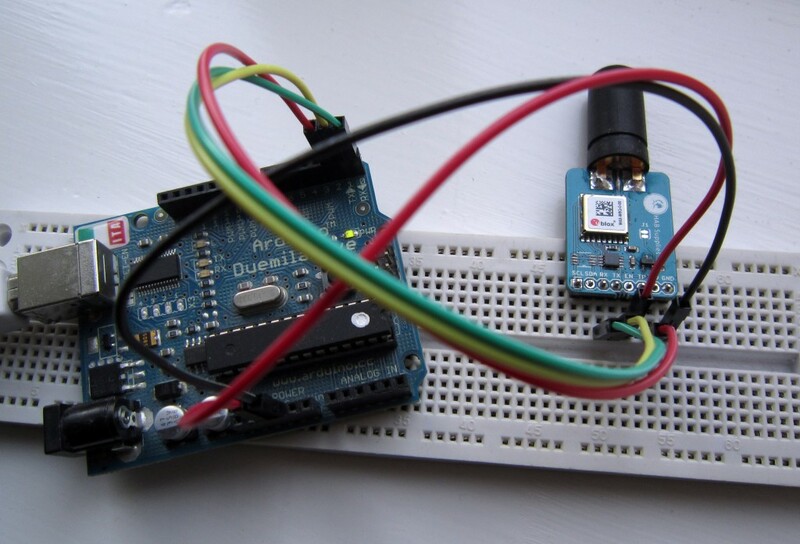 Ok so now we have the GPS talking to the Arduino and you have some method of debugging its time to read that NMEA from the GPS and turn it into something we can use within our code. The basic principle of an NMEA parser is to locate the NMEA sentences we are interested in , usually GPGGA and GPRMC. These two sentences contain most of the information you need for navigation, GPGGA is the main one used. 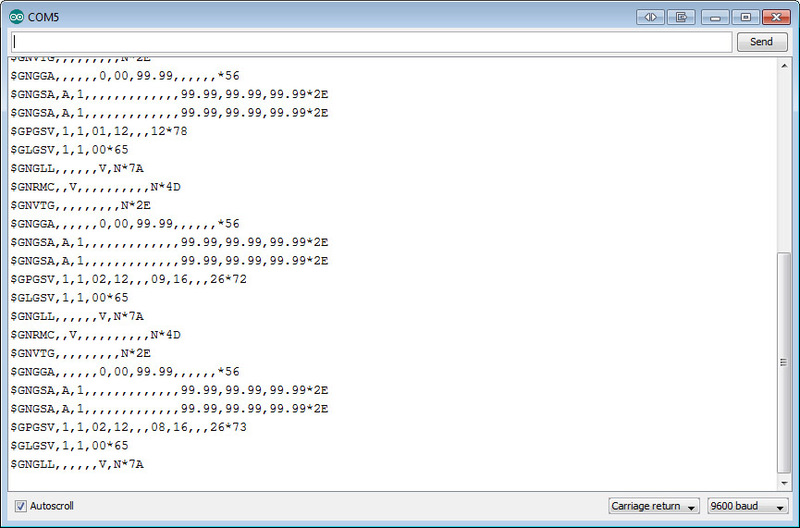 This example will show how to parse the information from GPGGA. Side note on the Ublox 8 series GPGGA is replaced by GNGGA by default to indicate the navigation information is from multiple GNSS sources (I.e American GPS and Russian GLONASS normally). So for this example we will look for $$GNGGA sentences. GGA sentences contain essential fix data which provide a 3D location. So we need to read the incoming data from the GPS module, look for a $ to indicate the start of a sentence, when the full sentence is read in go see if it is a GNGGA line. Building on the previous code we add a new procedure to read data in and transmit to the debug when a sentence is detected (or not). As you can see we are now detecting when we have a $GNGGA sentence and ignoring the others. So lets start extracting some data from that $GNGGA string. We know the structure of the sentence, it starts with a $ all the fields are delimited by a comma. Firstly lets up the debug speed to 19200 as we are likely to be outputting data fairly quickly. Amend the connection speed in PuTTY to 19200 and note the change in the code below.Comment out line 31 to stop the NMEA from the GPS appearing. So one of the first stumbling blocks you’ll run into is how do you diagnose and debug code on the Arduino when you’re using the only serial port for the GPS ? 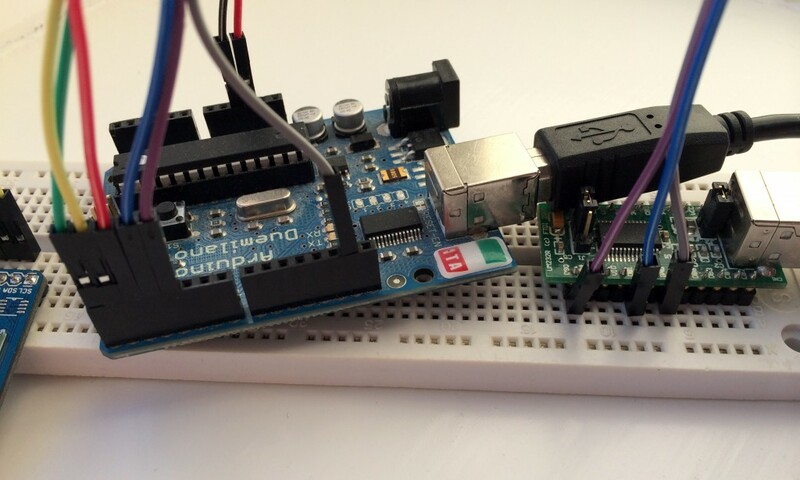 The ATMega328P based Arduinos like the Uno and the Duemilanove only have one hardware UART or serial port. This is a dedicated piece of hardware on the chip to do the nitty gritty of serial communications timing and the like. You can emulate this in software but it does use considerably more memory up also it can cause timing issues with other parts of your code as it uses interrupts. It is advised you should use the hardware UART for the GPS on any tracker to avoid timing, communication issues etc. However there is nothing stopping you using Software Serial for GPS debugging purposes (just be aware it could mess with timing on stuff like radio transmission). So you need some method of observing the serial data back on your PC, the easy way is to add a USB to Serial module such as the UM232R by FTDI or the Sparkfun/Adafruit ones such as this https://www.sparkfun.com/products/12731. I’ll refer to whatever you’re using as “UM232R”. You’ll get a black screen doing nothing. This is expected. Indicating everything is wired correctly and working. Now you should see Hello, World? followed by the NMEA from the GPS module. Basically the code is reading from the hardware serial port and then echoing this back to your software serial port. 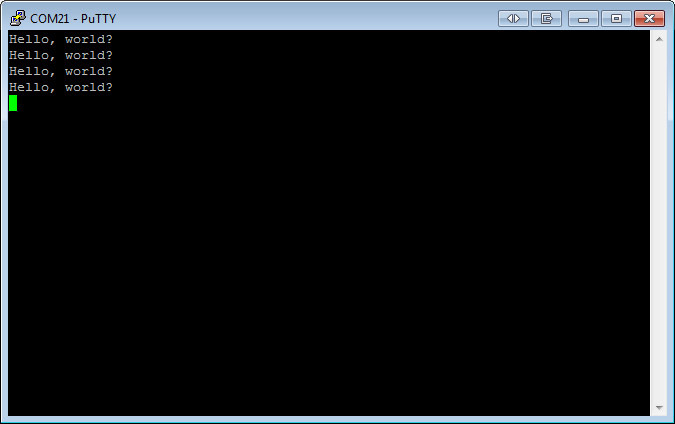 From this point you can start to do your own code and output information to the software serial port to help you debug. Ublox GPS modules are used heavily in HAB due to their high performance, altitude limit and power usage. They are extremely well documented. By default they output NMEA strings at 9600 baud but with a max altitude limit of 12km . There are a number of ways to communicate with the module NMEA, PUBX or the binary UBX protocol. 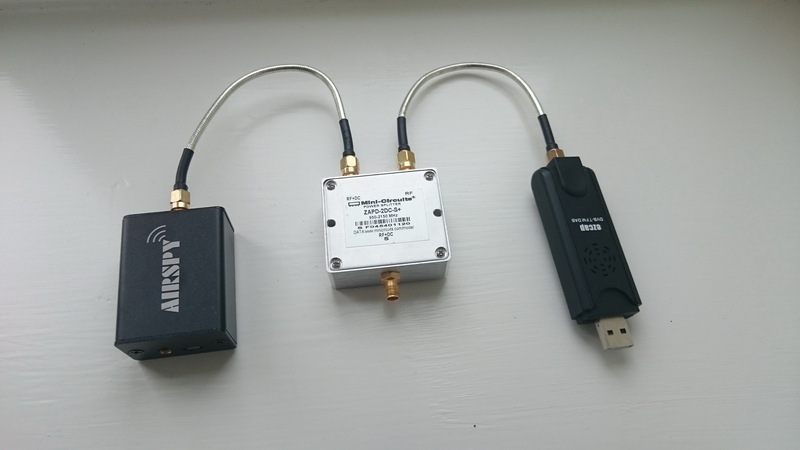 For these examples we are going to use a HAB Supplies uBLOX MAX-M8Q Breakout With Quad-V Antenna for Arduino linking to an Arduino Duemilanove. Load the following sketch. All this does is turn the level convertor on the GPS Board so data from the GPS module is passed through to the Arduinos USB to Serial port. Note the GLONASS Satellite (Russian flag). Ok so how do we use this to ascertain the commands we want to send to the GPS module to put it in high altitude mode. In Ucenter click View -> Messages. Click the + next to NMEA to collapse it and then click the + next to UBX to expand it. Click + next to CFG to expand. UBX-CFG is where most of the configuration commands for the Ublox modules are located. All these commands are covered in extreme detail in the Ublox Receiver Description Including Protocol Specification. So basically we need to send this to the GPS module and check it acknowledges it. This is discussed in Part 2 of this article. As of May 2016 this was heavily reworked due to a new version of Raspbian which did all sorts of wonderful things like disabling the serial ports etc. This guide assumes Raspbian Jessie Lite June 2017 2017-06-21. No other version or distribution is supported. I’ve also removed the off grid/standalone instructions as NTP isn’t designed to work off grid using just the NMEA derived time and PPS to discipline it. This guide is assuming you’re using Raspbian Jessie Lite installed from the June 2017 image. Download and write this to an SD card (See http://www.raspberrypi.org/documentation/installation/installing-images/README.md). Other distributions may work but these instructions are known to work with Raspbian Jessie Lite. Attach the Uputronics Raspberry Pi+ GPS Expansion Board to the Pi, insert the SD card, connect the antenna and network cable and boot the Pi up. Either connect locally or via SSH to the Pi. Follow the instructions carefully if you miss steps things won’t work. The supplied version of NTPD on the Raspberry Pi doesn’t support PPS so we need to recompile it (Please note that some of these steps may take up to 30 minutes). Note You MUST add a preferred server or PPS doesn’t work. Its worth at this point seeing if you’re ISP has its own NTP server you can use and adding that but for the purposes of this exercise adding prefer to the Debian pool one will do. Chris Stenton for the new kernel fix. Tris Mabbs for the DHCP issue heads up. Michiel Kanis for testing DHCP fix. Phil Heron for the GPSD Autostart fix. Updated : 27/06/17 Fixed for new June 2017 Raspbian. Updated links to ntp-4.2.8p10. Updated : 24/02/16 Added Code to set stationary mode. 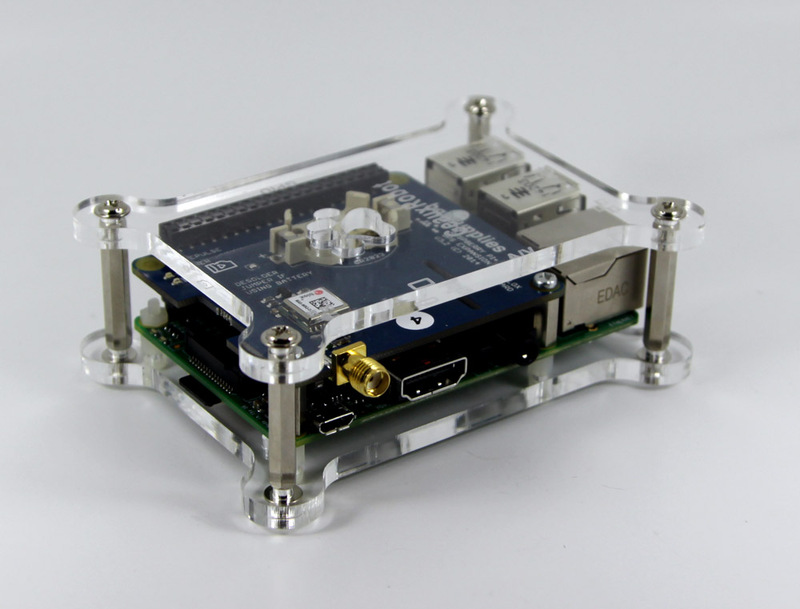 Checked : 29/09/15 Works with Raspian Jessie – Thx Ciaran! Updated : 03/07/15 NTP version and location amended – Thx Greg! Updated : 13/04/15 ntp-4.2.8p2.tar.gz links updated. Updated : 20/02/15 ntp-4.2.8p1.tar.gz links updated. Updated : 28/01/15 DHCP Client can pick up NTP from DHCP server and override all your good work. See below. Updated : 27/01/15 New kernel breaks previous instructions. Updated.